Dr. Daniel Noor, DMD, PC is not only a cosmetic dentist but a leading provider of invisalign treatment amongst top 1% of providers nationwide. He has treated nearly 1500 complex cases no one thought possible since 2002 with his outside the box thinking and innovations. He was honored with the title of Super-Elite provider in 2011. He has dedicated 98% of his clinical time to treating invisalign patients who may have been rejected by other providers. When it comes to cosmetic dental treatment, Dr. Noor and team of specialists at Smile Café believe in efficiency, honesty, affordability and high quality treatment which is guaranteed for a life-time in their 5 star customer service oriented office in a beautifully designed street level Park Avenue location. Dr. Daniel Noor was born in Iran but due to Iran-Iraq war and bombings, he escaped at age 13 to come to US to pursue his dream without his parents! Since the very young age, he was very artistic and creative playing piano by age 3 and creating toy models out of wood and plastic by age 7. He was extremely curious about how everything worked so he got in trouble many times when he would disassemble many expensive electronic devices such as radio, TV, electronic toys, even the fridge and anything in his dad’s car to figure out how they worked. By age 9, he was able to fix anything and even home electrical issues for his neighbors and grandmother. He was also very diligent studying hard and doing all his homework by himself. Perhaps it was his love of mechanics, physics, arts and science which led him to cosmetic dentistry and love for orthodontics. Dr. Daniel Noor attended Langley High School and Geroge Mason University for undergraduate training; working full time for all those years to support himself with the aid of some scholarships. He graduated with honors getting a dual degree in biology and chemistry. He was not able to afford to apply to many dental schools and go to many interviews so he applied to a few top schools and to his surprise he was accepted the very next day after his interview to Temple University School of Dental Medicine. Due to Temple’s top reputation for having the #1 ranked clinical education in US, Dr. Daniel Noor accepted the offer and paid a large deposit. Nonetheless, he was later also accepted to other schools. Dr. Daniel Noor graduated dental school in 2001 as one of the youngest in his class at age 26. He immediately found a job in New York City and started working hard paying back his dental school loans. He has taken numerous continuing education courses since then and has come up with so many ways to help so many patients in various situations without the need for invasive and expensive treatments. Dr. Daniel Noor is member of many organizations and has been featured in some of the top media such as Forbes, on radio shows and American Health Front TV show on ABC in 2012 featuring some of the top US cosmetic doctors. Dr. Daniel Noor has innovated ways to treat many invisalign patients without the need for typical facial attachments (composite resin bumps) placed on visible side of the front teeth. He came up with such ideas over the past few years since many of his patients who are models, actors, actresses and business professionals could not possibly walk around with something sticking on their teeth! You may take a look at some of his before and afters in Smile Gallery section of this site. 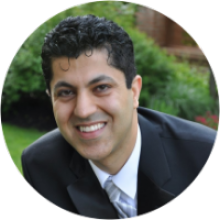 Dr. Noor has taken many continuing education courses but also credits the many specialists he has worked with over the years giving him more flexibility and training in treating many complex cases. Since all specialists work under the same roof at Smile Café, there is no need for patients to be tossed around from office to office before they can get a simple procedure completed. This has been one of the more valuable benefits to his patients. Dr. Noor loves adventure travel and sports when he barely finds time between his work and research. He spends weekends with his wonderful, beautiful wife who never complains of Dr. Noor’s long hours and commitment to his patients and with his 20 month son who was in love with dental computer imaging since he was 4 months old and he is glued to computers and dentistry already. The office staff was very helpful with scheduling my family. The office on the East side, Manhattan is spotless and has a very comfortable atmosphere. It has great natural light. There is a toy room to keep kids entertained while they wait. Dr. Noor was very gentle with my kids, who are 10, 7, and 5. My kids are actually excited to go back. He was professional and thorough, got things done quickly, which is always great with kids. He was wonderful with me too, very knowledgeable and willing to explain everything to me. I’ve always hated the dentist but 5 years ago I started going to Dr. Noor at Smile Cafe. They made me feel comfortable here because they’re very kind and have awesome customer service. I now actually look forward to getting my teeth cleaned. Dr. Noor made my smile look great and very healthy. Now my husband and I and our 3 kids live in PA, which is about 3.5 hours from Manhattan but we still go to the Smile Cafe. My 4 year old just went in for the first time and he had a great time. Dr. Noor and his staff were very gentle and kind with him. They always answer our questions. It’s a very comfortable atmosphere, and you can tell they really care about their patients. This place is great, and now I don’t hate the dentist. Thank you Smile Cafe! I was on a family vacation in New York when I started having some intense tooth pain. I found Dr. Noor’s practice online and his very nice receptionist was able to get me in that afternoon. I had zero wait time here, which I’ve found to be very abnormal at a dentist office. Dr. Noor took care of me right away, and even helped me understand why I was in pain. He did his job fast and I was never in pain. Thank you, Dr. Noor! Unlike dental insurance, a direct dental plan with Dr. Noor and Doctors Network is a membership that gives you access to significant discounts on almost all of our services. Everyone can join for a low monthly fee of $29.99 and a one-time activation fee of the equal amount. The cost of membership is typically a fraction of most dental insurance premiums. Dr. Noor, our team, and the experts at Doctors Network share the common goal of making dental care simpler, more affordable, and more attainable for all of our patients. Please note that a direct dental plan is not insurance, and is not designed to replace your existing coverage. We offer this direct dental plan to help reduce your out-of-pocket expenses and therefore maintain your oral health. If you have questions about Doctors Network, or are ready to sign up, then contact Dr. Noor at Smile Cafe today, or call Doctors Network at 1-866-800-3168. General dental care is as important to your smile as good hygiene. For instance, checkups and cleanings are necessary to avoid dental issues like tooth decay and gingivitis. At our New York, NY dental office, Dr. Noor and our team offer a variety of general dentistry treatments to help your family enjoy a lifetime of beautiful smiles. In both your oral and overall health, prevention is the best medicine. Therefore, the primary focus of exceptional dental care is preventing issues from developing in the first place. Besides practicing good hygiene, professional dental cleanings and check-ups help stop the formation of plaque and tartar. Other treatments, such as tooth fillings, dental crowns, dental implants and implant supported prosthesis, and more, can also help you address existing issues before they worsen. During your dental appointment, your dentist will carefully perform a comprehensive dental exam for signs of trouble. If any are present, then he or she will recommend an appropriate course of treatment to stop the issue from growing worse. However, caring for your smile will still rely on maintaining good hygiene and regular general visits to your dentist’s office. Speak with Your New York Dentist Today! By emphasizing the value of prevention, general dentistry is essential to keeping your smile healthy and beautiful. To make an appointment, call Dr. Noor's dental office in New York, NY today at (212) 779-7743.